Cain Industries – Messplay Machinery Co.
Cain Industries is a leading designer and producer of combustion exhaust heat transfer products. With over 3 decades in business, our successful experience in lowering fuel costs and reducing pollution makes Cain the first choice for both the combustion retrofit and OEM exhaust heat recovery markets. We set ourselves apart as the only manufacturer producing a complete spectrum of exhaust heat recovery products for markets including: gas & diesel cogeneration, boiler exhaust, fume incineration, and industrial spiral finned tubing. 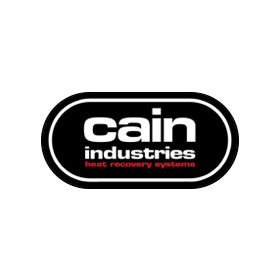 Cain Industries is your single source for ‘boiler economizers’, ‘condensing heat exchangers’, ‘waste heat recovery systems’, ‘waste heat boilers’ (WHB), ‘heat recovery units’ (HRU), ‘heat recovery silencers’ (HRS), ‘feedwater preheaters’, ‘heat recovery steam generators’ (HRSG), and ‘exhaust steam boilers’.